Community solar is on the rise, with no signs of slowing down, as the consumer demand for renewable energy grows across the U.S.
Community solar is empowering people to do something about climate change—together. Most Americans understand that global warming and climate change is caused by human activities. And, the majority also know that renewable energy, such as solar power, is a powerful way to combat climate change. But, unfortunately, 75 percent of households in the U.S. can’t put solar panels on their property—either because they don’t own that property or because their location isn’t well suited to solar panels. A welcome solution is a community solar farm, also called a shared solar project or solar garden. These neighborhood solar installations allow subscribers to support the development of clean energy to generate electricity—instead of each person having to install and maintain solar panels on a household rooftop. Community solar has taken off in recent years. In fact, it’s the fastest growing sector of the solar industry. The National Renewable Energy Laboratory estimates that by the 2020’s, community solar will account for between 32 and 49 percent of solar arrays. Where is Community Solar Available in the U.S.? 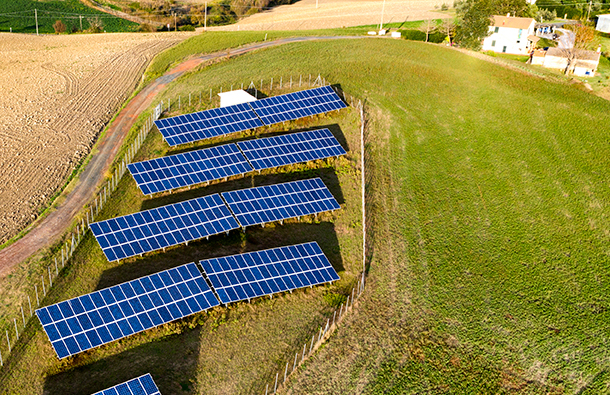 Forty-two states have at least one operative community solar project, and 19 states plus Washington, DC have legislation and programs to encourage shared solar projects. Many states are currently considering legislation to allow for community solar, including Illinois, New Jersey, New Mexico, Nevada, and Pennsylvania. While Colorado was the first state to install a community solar program in the U.S. back in 2011, as of early 2018, enough community solar had been installed to power roughly 150,0000 and 200,000 households. Leading the nation in community solar installations today are Minnesota, Massachusetts, New York, and Colorado. Minnesota in particular installed half of all 2018 community solar installations built in the U.S., and its community solar program is considered a model for other states. How Can You Get Community Solar Where You Live? Anxious to support clean energy? With CleanChoice, you can participate in community solar projects in your state today. CleanChoice Energy offers community solar to residents in Washington, DC, Maryland, Massachusetts, Minnesota, and New York; with new projects becoming available soon in other states, too. If a community solar farm is not yet available close to where you live, you can still access clean energy another way. As a renewable energy company, CleanChoice Energy also supplies clean, 100% pollution-free clean energy that's sourced from solar and wind farms in regions where our customers live. Learn how you can switch your home to 100% pollution-free clean energy today!